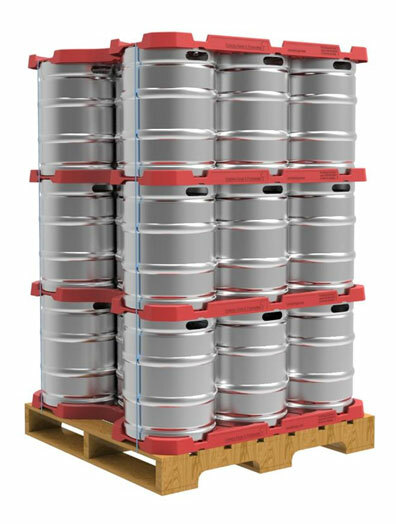 Introducing the Keg Stacking Sheet… for 1/6th, slim20L, 1/4bbl, slim30L, Euro 50L and the ½ bbl (58.7L) sized straight sided stainless steel Sankey Kegs. 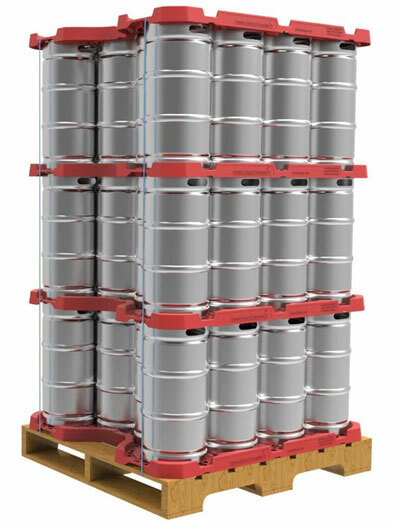 The Keg Stacking Sheet puts far more kegs in the same footprint, by concentrating the layers and eliminates 5” to 6” per layer of non-productive stack height compared to wooden pallets. The vertical space 3 layers of Kegs uses with traditional wooden pallets, now fits 4 layers high with the Keg Stacking Sheet. 25% more Kegs fit in the same height. This also saves on shipping costs as 25% more Kegs are shipped to the same place for the same freight cost as before! 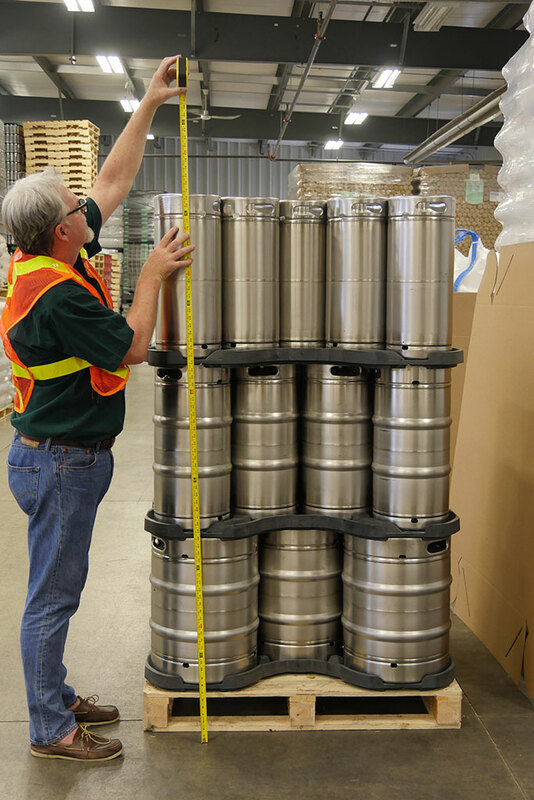 The Keg Stacker Sheet (KSS) was developed to fit a need for an inexpensive system to make keg stacking safer, more convenient, and more space efficient during storage, handling and transportation. We accomplished all these goals in a product that fits all the Keg sizes using the same sheet, eliminating the need to buy a specific Sheet for each Keg size. This MADE IN THE U.S.A. product is valuable to Brewers & Distributors alike across North & South America, and benefits both small and large companies alike ! Made from plastic injection molded heavy duty H.D.P.E. 1 size fits all Keg sizes! ***fits all fully stainless steel kegs. Kegs with plastic/rubber tops & bottoms may not be suitable for use. ** does not include the height of the wooden bottom pallet. Large ergonomic center hand hole for easy carrying. based on a 6″ high pallet. Copyright 2018 Keg Stacking Systems.